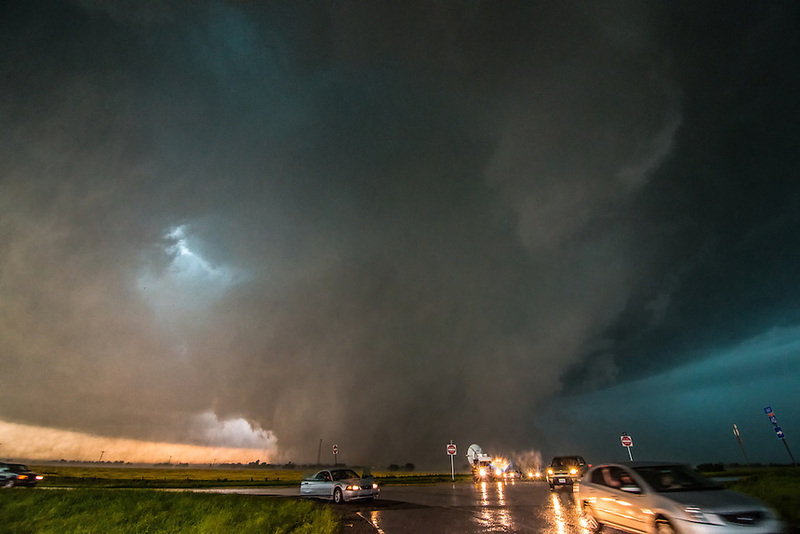 A deadly tornado approaches Interstate 40 southeast of El Reno Oklahoma on May 31st, 2013 as a research radar truck collects key scientific data. This storm resulted in the deaths of 8 people (all in vehicles). Tim and Paul Samaras along with Carl Young, all prominent storm chasers, died when their vehicle was overtaken on a rural road just minutes before this image was taken. This tornado now holds the world record in path width at 2.6 miles.